S&W Awards and Custom Jewelry is a representative of MTM Recognition. We are dedicated to making sure that your client and/or employee recognition is as professional as possible. We accomplish this by help you create custom jewelry that is perfect for whatever occasion you may have. We have created a special line of custom jewelry exclusively for members of the NCBAA! 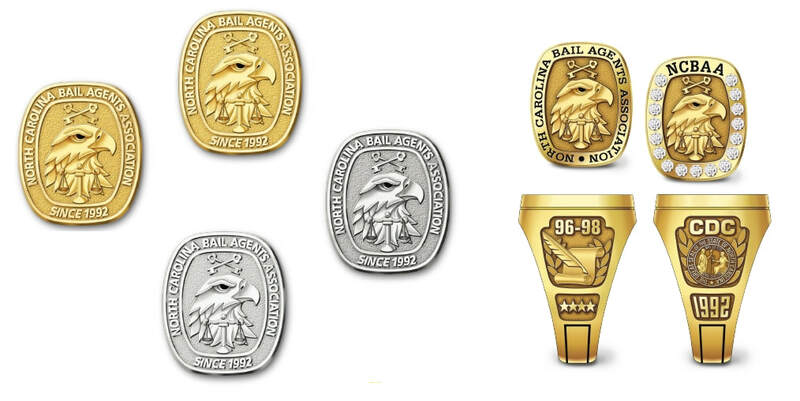 This collection includes rings, keychains, lapel pins, all carrying the NCBAA logo. To check out the entire collection of jewelry, click on the button below.